Each month I team up with my blogging friends and share a craft project with you made from supplies I have been hoarding collecting. We call it the Craft Room De-Stash Challenge. 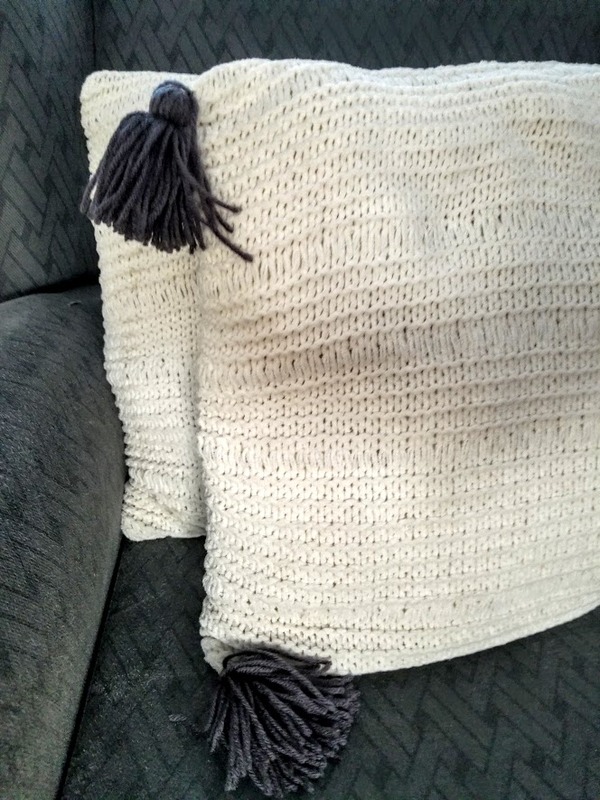 Today I am showing you how to DIY tassel throw pillows. *This post contains affiliate links and you can read my full disclosure here. I am loving the new Hearth & Hand line at Target from Joanna Gaines. 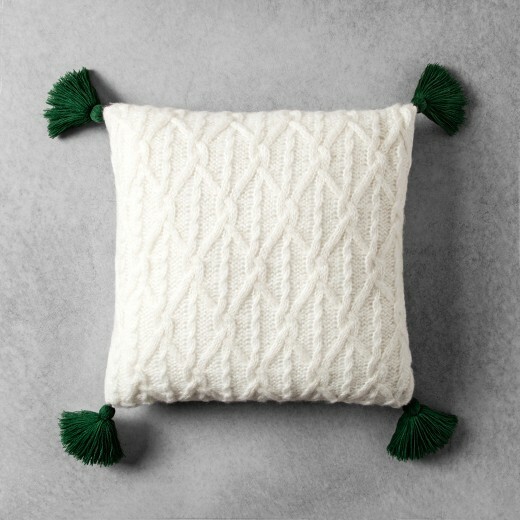 There are so many fun and decorative pieces available but when I saw the knit tassel throw pillows I had a light bulb moment on how to DIY tassel throw pillows of my own. Yes, a true DIY’er falls in love with an inspiration piece and then says “I can make that myself”. Especially when that particular item is NO LONGER AVAILABLE! Yes, I can’t find it on the Target website anymore so I am determined to make it myself. 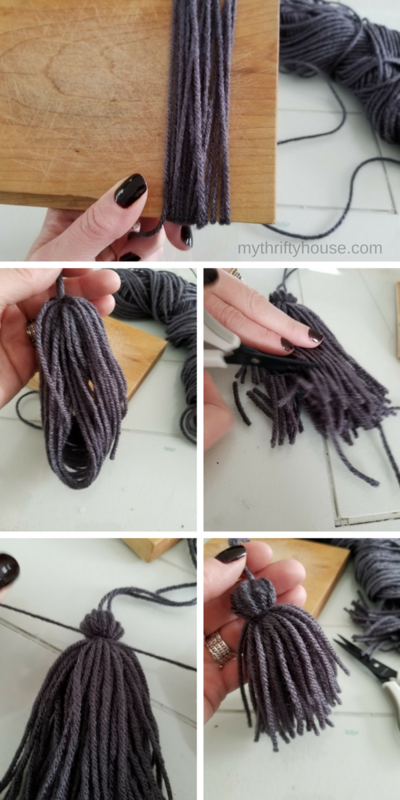 I’ve kind of, sort of been addicted to making pom pom garland and knew that I could make my own interpretation of the knit tassel throw pillows by using the same technique as the pom pom maker. Coincidentally, I picked up a pair of white knit throw pillows at the thrift store for $5 but if you don’t have knit throw pillows you could use an old sweater or knit blanket to make your own slipcovers. Or you could just use a regular throw pillow you already have sitting on your couch. 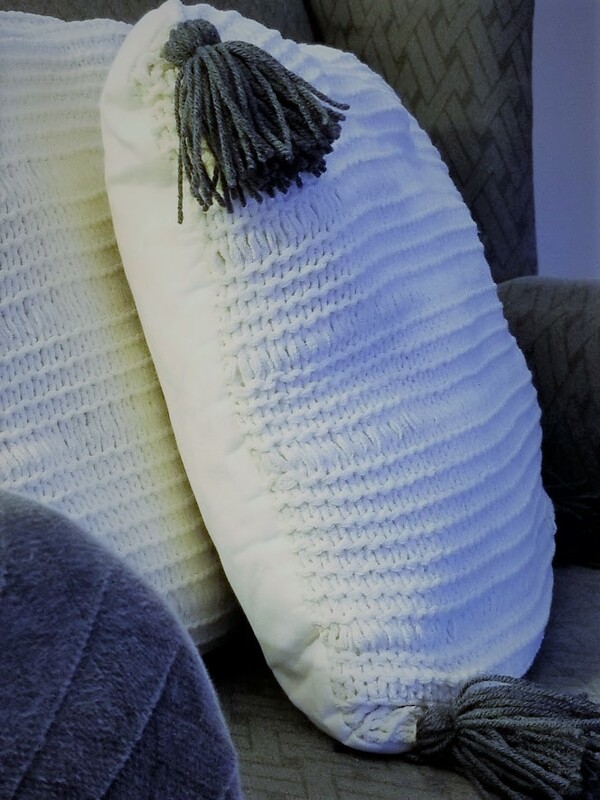 Once you settle on the type of throw pillows you would like to use you need a piece of scrap wood or a book to make the tassels. If you would rather make pom poms for your pillow you MUST get a set of these pom pom makers. They are very inexpensive on Amazon and you will be cranking out pom poms like a factory. For my throw pillows I used a piece of wood that was 5 inches wide and I wrapped the yarn around the wood to make my tassels. You can make them however big you want to make them. That’s the beauty of being a DIY’er. 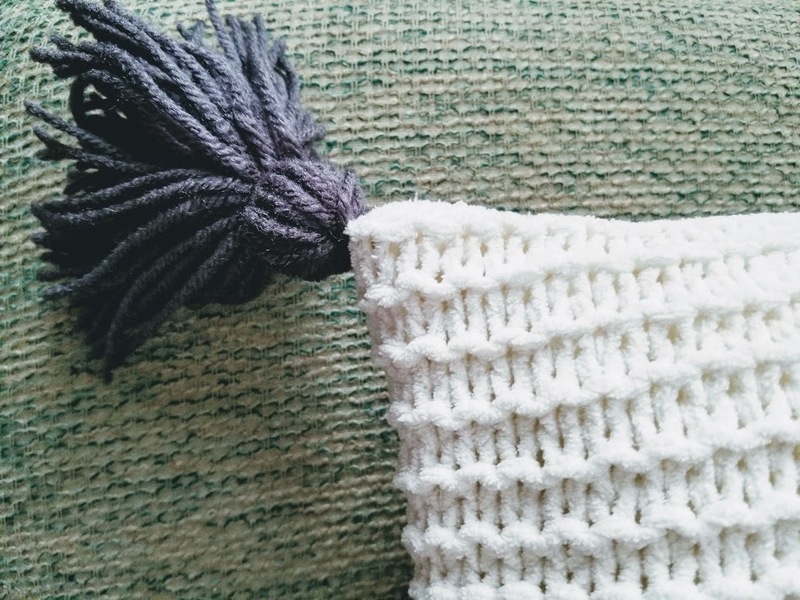 Once the tassels were completed I attached them to the corners of my knit throw pillows and that was it. 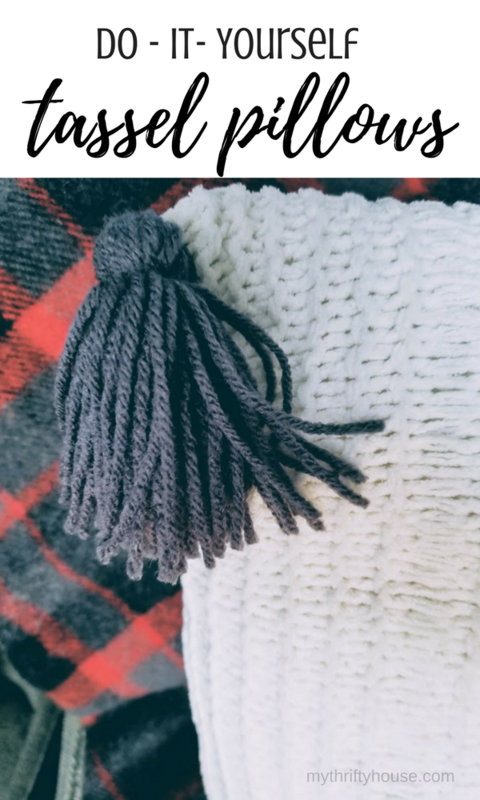 With some inspiration and minimal craft skills, my DIY tassel throw pillows are jazzed up and a cute accent in my living room. This entry was posted in Craft Room Challenge, DIY Projects. I’ve got to get me one of those Pom Pom makers! I keep forgetting, but don’t we all love the cutesy look of them? I know I sure do. Thanks for the nudge. This is such a cute project and so easy. Especially if you luck out like you did and found the perfect pillow. Looks so good. Yes, I did luck out in finding the pillows. Nice upgrade to a pillow that has got a bit boring. Thanks for sharing! Yes, my thrifted, boring pillows got jazzed up. I have a bunch of leftover yarn and a pillow that is just dying for some tassels! Thanks for the tutorial! Oh love this idea! I bet they are addicting like pom poms. Such a great update! I did a blanket, while back, with pom poms. Now I need to do tassles. Love it. What a great idea!! Especially when you weren’t able to find the pillows that you liked anymore!! Love the tassels on the pillows and can’t wait to try this!! I love your tassel pillows and that you found the sweater pillows at the thrift store. 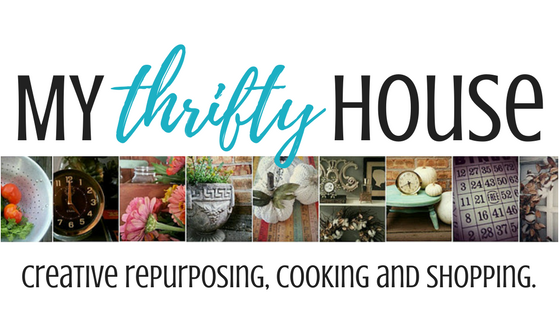 What a great way to take something thrifted and giving it a new lease on life. Denise, I can’t tell you how often I saw something gorgeous and decided to save the comes in extra handy, when you are willing to buy, but the item is out of stock! I made a gazillion pom poms in my life but not one tassel, yet. Thank you for this easy tutorial. Those look so professional! I would never have dreamed they were DIY thrift store pillows! Pinned! These are awesome! I’ve got to give these a go so I can stop buying luxury decorative throw pillows! I’m always seeing pillows I want to make, I really need to make one with tassels now. Pinned!